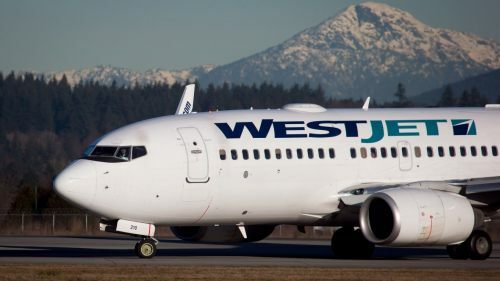 After yesterday's announcement by NewLeaf involving their plan to offer cheap flights from Abbotsford, WestJet has thrown back a punch of their own, by offering flights from both Abbotsford AND Vancouver to Saskatoon, Regina, Winnipeg, Kelowna, and Toronto at prices that are far below their typical bottom levels (over 40% less than usual). NOTE: WestJet's website seems to be having technical difficulties at the moment. It might be overloaded due to the traffic coming from YYZ Deals (Toronto counterpart of YVR Deals). Hopefully it will be back online soon. vancouver, yvr, flight deals, westjet, toronto, ontario, yyz, canada, abbotsford, yxx, north america, british columbia, bc, kelowna, ylw, regina, saskatchewan, yqr, saskatoon, yxe, winnipeg, ywg and manitoba. 13 Responses to "Vancouver to Regina, Saskatoon, Kelowna, Winnipeg, and Toronto - $156 to $302 CAD roundtrip including taxes"
I’m looking at return flights to Toronto (from Vancouver or Abbotsford). I don’t see anything close to "$302 CAD roundtrip including taxes". Google Flights is quoting $302 though this is for a one-way flight. Is this maybe a typo? I couldn't find any return trips from Vancouver to Halifax for $400. flight to toronto for $302 doesn't exist. tried to book didn't work then called in to westjet and they said there is so such flight. No flights to Hali for $400. You folks are rather obviously not seeing it because it is sold out. Look at the flights to S'toon, Regina, etc, those discounts are still available. The rest still have a fair amount of availability. Vancouver to Toronto - April 27 to May 11 is also verifying at $302 CAD roundtrip. May 4 to 11 is $328 CAD. Feb 17 to 24 is verifying at $369 CAD on Expedia. What about Vancouver to Montreal?. Booked a flight from Kelowna, BC (YLW) to Toronto $257 return! Gill: Prices to Montreal were not affected, because the price drops are only to destinations that NewLeaf launched with.